Jackson County Courthouse #6 | Historic Jacksonville, Inc.
Jacksonville and the historic Jackson County Courthouse had one last glory moment in 1927 when the trial of the DeAutremont brothers attracted nationwide attention. 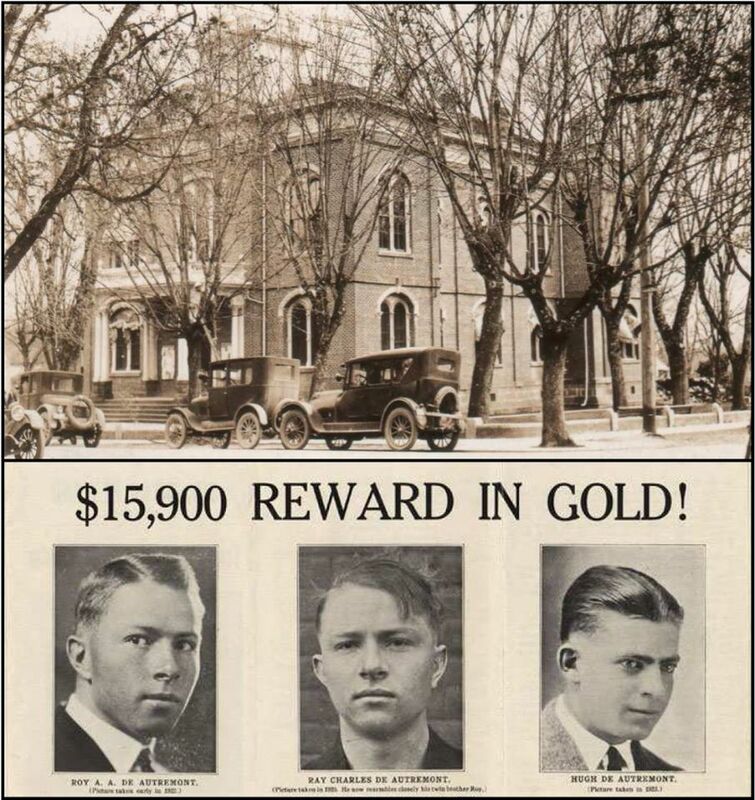 After a three year manhunt that extended into Mexico, Canada and Australia, the three DeAutremont brothers were apprehended and charged with the murder of four railroad employees during a 1923 holdup in railroad Tunnel 13 in the Siskiyou Mountains. Billed as the West’s last great train robbery, this was the final trial held in the courthouse before all legal business was moved to the new county seat of Medford and its newly erected courthouse.